The 24 pre-printed products within this series offer a choice of patterns,* providing plenty of scope for adding interest or privacy to interior glazing (there are some exterior application options too). Dots and stripes are just the starting point for creating cost-effective contemporary or classic effects. We print the ink onto the film, after which it’s coated with a UV screening adhesive. This approach embeds the print layer between the adhesive and the reverse side of the film, permanently protecting the ink and giving the face of the product a glass-like surface. The surface has a scratch resistant hard coating, making it extremely durable and cleanable. *Customised patterns are available for larger projects. The range of textures in this series can be used both to create privacy and add visual enhancement to interior spaces. 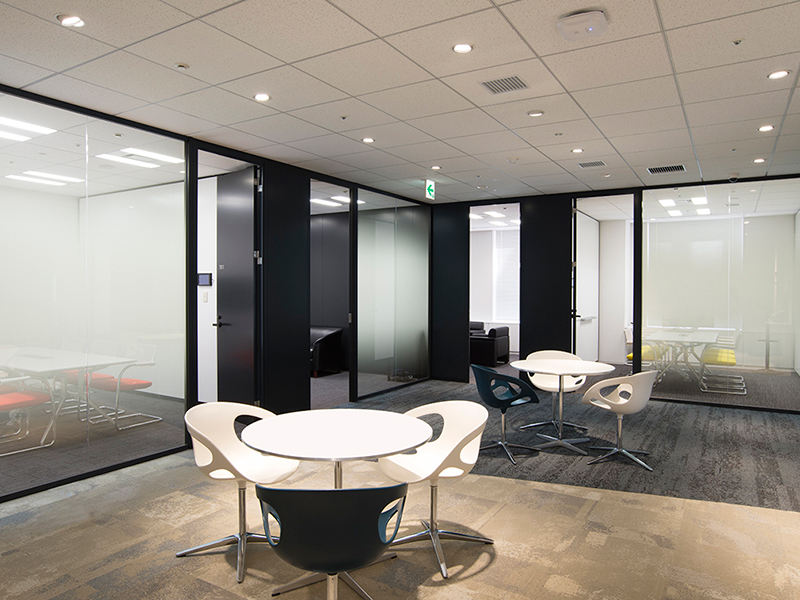 From a gentle mist to full white-out opacity, or traditional Japanese effects such as rice paper, the light diffusing and screening properties vary by design.